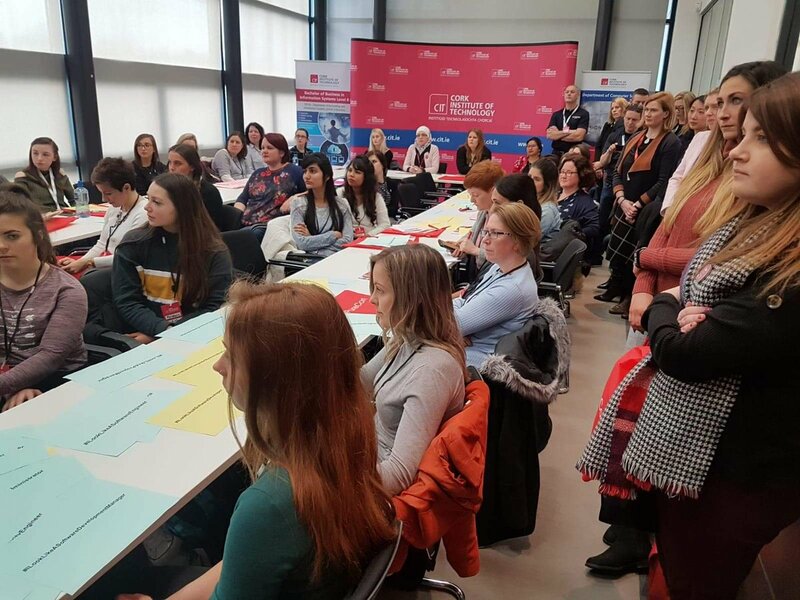 Over forty STEM students have participated in CIT Advance, a new initiative led by Dr Ramona Marfievici, CONNECT Research Fellow at Cork Institute of Technology, which aims to provide mentorship and encouragement for women working in tech. The event included a series of workshops in CV preparation and interview techniques, as well as career advice. Dr Orla Flynn, Vice President for External Affairs at CIT, opened the event. The idea for CIT Advance originated in Ramona’s attendance at a mentoring workshop for women graduates hosted by the Computing Research Association’s Committee on the Status of Women in Computing Research (CRA-W) in San Francisco. Dr Marfievici collaborated with Oonagh O’Brien from CIT’s Department of Computer Science and Catherine Murphy from the Department of Accounting and Information Systems to establish CIT Advance. “The response from CIT and the wider tech community in Cork has been phenomenal. Events like this are crucial in highlighting the unseen obstacles that women face daily in a male-dominated tech world.